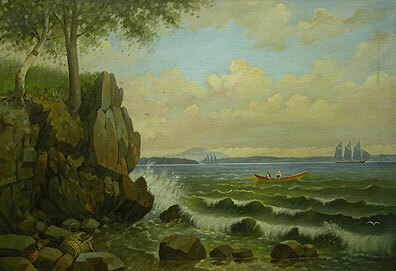 Like many ship portrait painters, Belfast's Percy Sanborn took commissions for signs and other decorative work. 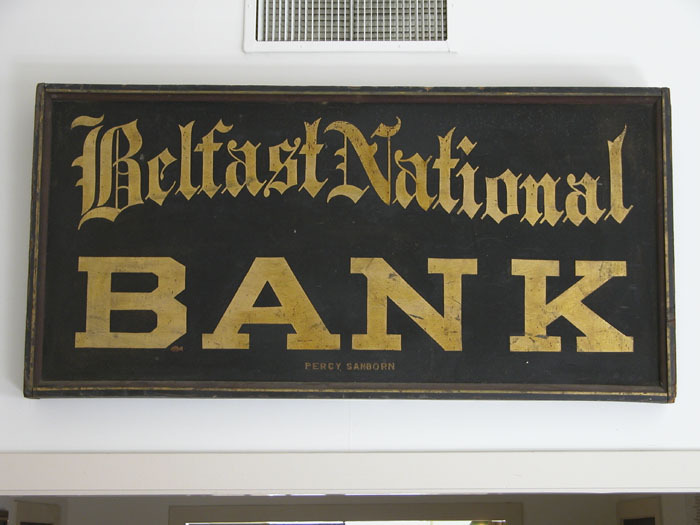 This sign was painted for the Belfast National Bank, established in 1879. It is signed by Sanborn, as are his paintings. Oil on board. 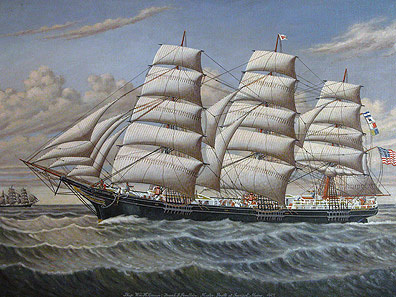 Oil on canvas painting of ship William H. Conner, built in Searsport in 1877. It was the last and largest full-rigged ship built in Searsport, costing over $100,000. Apparently in three voyages she earned her construction costs, but that was the exception; 15% was closer to the rule. Marlboro Packard was her master builder, working at the Carver yard. The Museum has his half model of the vessel. Such a vessel would have attracted much attention including that of artist Percy Sanborn from neighboring Belfast.